I’m a big lover of animals, and I delight in seeing them, even strays on the street. 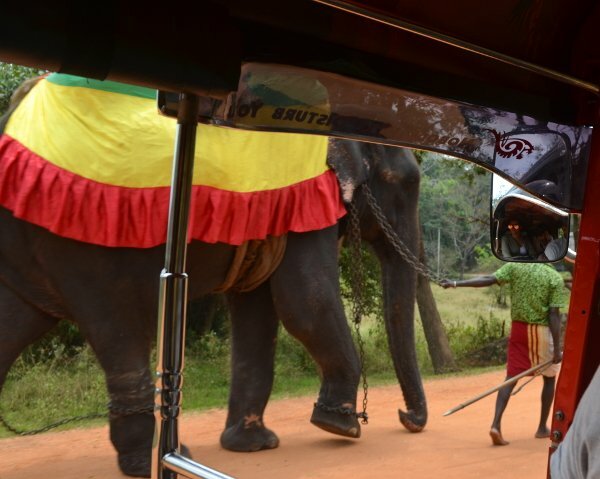 So one of the more exciting reasons to visit Sri Lanka was the chance to do an elephant safari. Naturally, I did very little research before arriving about Sri Lanka’s elephant attractions. When we finally did, we realized these things aren’t as great as they seem. Sri Lanka has one of the largest populations of Asian elephants in the world. So it gives you a unique opportunity to see wild elephants in their natural habitat. There are a few national parks and animal reserves where the elephants roam free like Yala National Park and Udawalawe National Park. This is where all the safari tours take place. 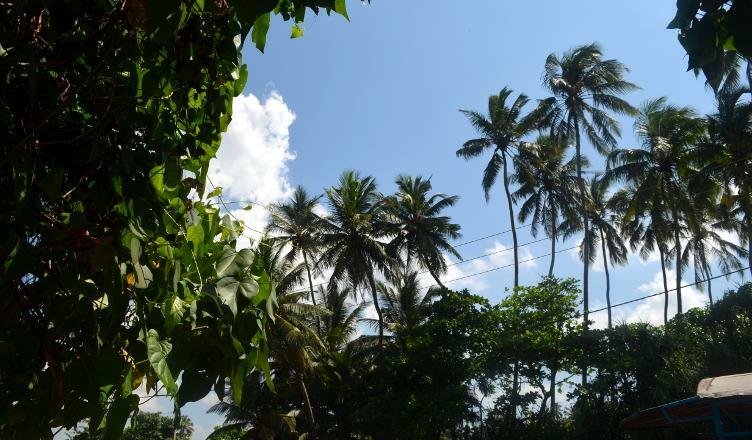 Thinking that this would be an ethical and humane experience, given that they’re national parks, we set aside a day in Dambulla to take a safari in Minneriya National Park, which isn’t as popular as some of the other ones and has great visitor reviews. However, when we dug a little deeper at the one star reviews of the park and of the safari tour companies, we realized the problem with these elephant safari tours. For starters, they all generally go at the same time, either early in the morning or in the early evening when you’re most likely to see elephants at their watering holes or walking around. Again, these are free elephants. They’re not chained up or taken out a specific time for viewings, so your best bet to see them is just timing. Since everyone wants to see the elephants, what happens is a bumper to bumper line of loud jeeps that is going out hoping for elephant sightings. Though there are paths along the parks that the jeeps are supposed to stay on, this doesn’t always appear to be the case as some jeeps go after the elephants to allow the visitors to get a closer look. Before long, all the jeeps on the hunt give chase and you end up with a cornered and very annoyed family of elephants having their afternoon brusquely interrupted by spectators. We considered going on an elephant safari anyway and explaining to the driver that we didn’t want to get super close, just see the parks and if we didn’t get an elephant sighting, it would be fine. We decided against it for a couple of reasons. For one, in our experience, it’s hard to get Sri Lankan people to understand what you mean or to care. It would probably be hard for us to get our point across, so they may chase down the elephants anyway thinking that’s what we want. Another reason is that even if we had a relaxing ride through the park with the elephants off in the distance, we would probably see other jeeps harassing the wildlife which is unpleasant to watch, even if we’re not partaking in it. I wouldn’t want to financially support tourism like that knowing that it regularly disrupts the habitat of a species that’s supposed to be protected in the country’s national parks. Even more popular than safari tours through national parks is the Pinnawala Elephant Orphanage. It’s conveniently between Kandy and Colombo so it doesn’t take many tourists out of the way. Since it’s a sort of rescue center, tourists with concerns about the animals’ treatment can be appeased. Though the center does, in fact, rescue and rehabilitate animals who are not fit to live in the wild, they also definitely exploit them. Tourists visiting Pinnawala can feed and ride the elephants, and I’m not sure that overeating and carrying people all day long does much for an elephant’s well-being and rehabilitation. You can, however, see the Pinnawala elephants without visiting the center. They’re walked to Maha Oya river every day at 8 am, 10 am, and 2 pm. Though that part of the river is technically part of Pinnawala, it’s also accessible by car without paying entrance to the orphanage. A lot of hotels around this area face the river and offer you daily opportunities to see the elephants on their visit to the river. However during low tide, you can see that the elephants are chained by their feet to the bottom of the river. So we ended up not bothering to go out of our way to see these captive elephants being shown off at the river. In the end, during our trip to Sri Lanka, our only elephant encounters were limited to the stuffed carcasses of elephants used to carry important people and caskets during ceremonies at the Temple of the Sacred Tooth and Gangaramaya Temple. The only two real elephants we saw from afar were definitely being exploited and mistreated for tourism purposes. One in Colombo was being led by a pointed hook so that eager tourists could take pictures with it. The other was in Sigiriya, where it was saddled by an elaborate saddle carrying two people. The elephant was being pulled by some dude by the chains around its neck and leg. So the sightings were less exciting and more sad and disgusting than we expected. It kinda took the wind out of our sails about the whole idea of doing any kind of elephant attractions in Sri Lanka.